Until recently, I had never heard of the Congaree National Park. I believe I read about it in either Backpacker or Outside magazine. I learned from the magazine article that the Congaree River, which runs through the national park, is a noteworthy destination for kayaking. So, after a little research and planning, Dharma and I decided to carve out some time from our road trip to Florida for a short kayaking journey on the river. 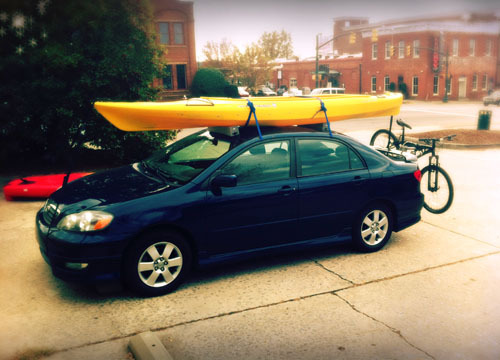 We rolled into Columbia, South Carolina on a Saturday afternoon and rented a tandem kayak from the good folks at River Runner Outdoor Center. From there, we drove a short distance to reach the Cedar Creek canoe access within the national park. Despite only getting in a couple of hours on the river, we had a blast. 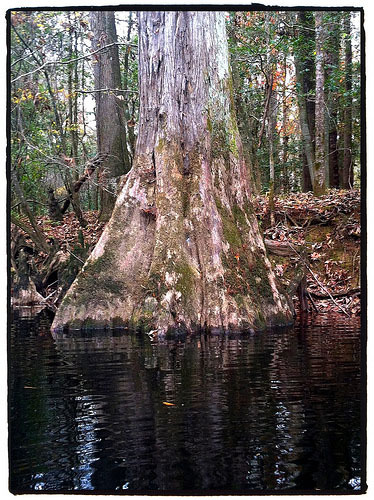 The Congaree is the largest remnant of old-growth floodplain forest remaining on the continent. The river is a peaceful setting and the water is like glass, reflecting the towering trees to create an awe-inspiring sight. The Congaree River Blue Trail is a 50-mile designated recreational paddling trail, extending from the state capital of Columbia, downstream to Congaree National Park. The trail offers an adventure through an urban environment that transitions into a coastal plain known for its high bluffs and extensive floodplains. I’d love to return sometime soon to kayak the entire trail. I was told it’s a two to three day trip on the water. It’s definitely now on my short lists of places to kayak. A big thanks to Tracy at the National Park Service for commenting on this post. As she points out in her comment below, we actually kayaked Cedar Creek, which is not technically a part of the Congaree River. Nonetheless, it was a beautiful kayaking trip and we do plan on exploring the Congaree River Blue Trail in the near future. 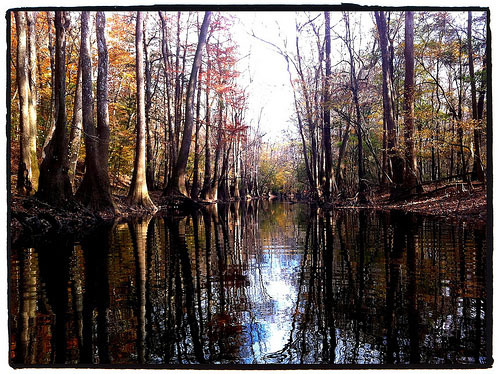 If you head to the Congaree National Park, be sure to explore Cedar Creek! 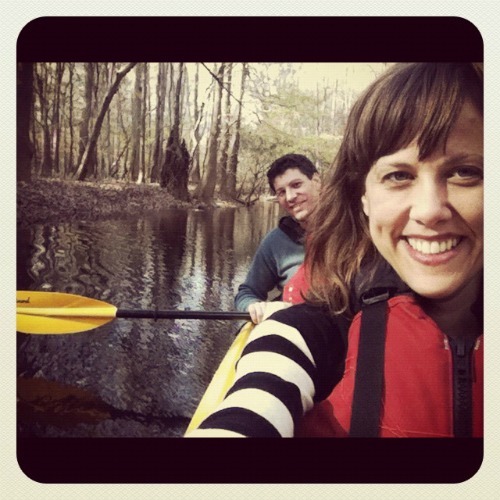 Kayaking through the Cedar Creek portion of the Congaree National Park. 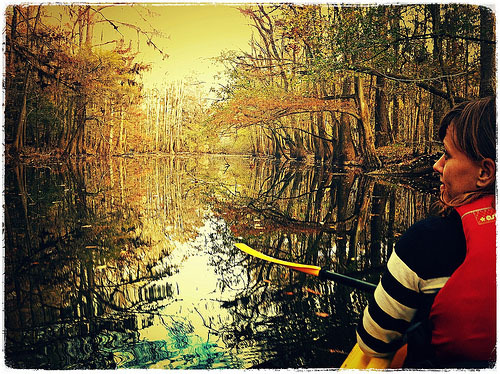 Did you paddle Cedar Creek or the Congaree River, or both? If you put in on Cedar creek at either of our boat landings (Bannister Bridge or South Cedar Creek) it would be more than a day to get to the Congaree River. Your photos are tageed “congaree River” but appear to be Cedfar Creek. So, I’m guessing you put in and took out on Cedar Creek. The Congaree River is much wider and that’s the location of the National Recreation Trail. Having said that, Cedar Creek inside the park is a Wilderness Trail and a gorgeous paddle. Just don’t want people to be confused! Hi, thanks for the clarification. I will have to update my post when I get to a computer. Glad to see the NPS is active on the web! © 2019 Devon Akmon . Powered by WordPress. Theme by Viva Themes.